Top scientists are working to keep us healthy on a molecular level! Dr. Jin Montclare, associate professor of chemical and biomolecular engineering, is fabricating microfibers from proteins. 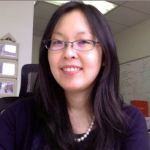 Dr. Jin Kim Montclare received her undergraduate BS degree in Chemistry and Philosophy from Fordham University, Bronx NY. She then went to Yale University, New Haven, CT as a NSF predoctoral fellow and earned her PhD in Bioorganic Chemistry in 2003. After an NIH postdoctoral fellowship at California Institute of Technology, Pasadena, CA from 2003–2005 in the Division of Chemistry and Chemical Engineering, she began her academic career in the Department of Chemical and Biomolecular Engineering at NYU-Poly and is currently Associate Professor. Dr. Montclare’s research focuses on exploiting nature’s biosynthetic machinery and evolutionary mechanisms to design new biomaterials and functional proteins. She as been garnered with numerous awards and her work has been supported by the National Science Foundation, National Institute of Health, Army Research Office, Air Force Office of Scientific Research, Dreyfus and Teagle Foundations. Follow her @jkmontclare. Gene therapy employs DNA as a drug for treating or preventing disorders. While viral-based delivery vehicles have been developed for gene therapy, their use can cause detrimental side-effects; thus, non-viral approaches are needed. In order to accomplish this, one must be able to transport the therapeutic DNA into the cell’s nucleus—which is where all the important genes reside. One important issue is that inside the cells, there are enzymes that can degrade DNA, thereby preventing any encoded therapeutic effect. A second but equally important barrier is the cell membrane–a complex protective shield protecting all cells. In order to address these two crucial challenges, my group engineered a delivery agent comprised of a protein and lipid (or fat-based) mixture. To protect the DNA, we developed a “supercharged” protein that is able to spontaneously assemble and form a positively charged surface area for the negatively charged DNA to attract and adhere to. This “supercharged” protein-DNA complex would protect the gene from being degraded by those pesky enzymes. To help the protein-DNA complex penetrate through the cell’s shield, we decorated the supercharged proteins with a lipid mixture that could coat the complex and safely enter the cell—enabling it to slip right through the barrier. This new cocktail, which we call “lipoproteoplex” is essentially a mixture of proteins (that we manufactured using bacteria) and lipid/fat. While much of past work has focused on tailoring lipids or synthetic materials for gene delivery, what makes our studies unique is that we program bacteria to produce proteins that can fold and assemble enabling it to robustly stick to DNA and protect it. This lipoproteoplex cocktail was able to effectively deliver genes and do it so better that the standard lipid-based product by 6 fold! This advance will allow us and other scientists to deliver genes for investigating and treating cancer, diabetes and a host of diseases.